As 5 against 4, Simon Cummings is a formidable new music blogger. He’s also director of Birmingham’s Ensemble Interrobang and, perhaps most importantly, a thoughtful composer of electronic and instrumental music. 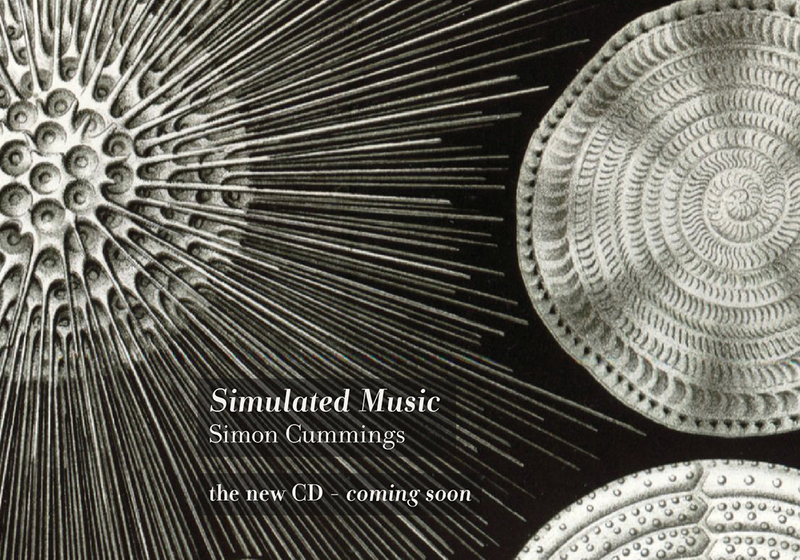 His fifth and latest CD, Simulated Music, is released this weekend. It’s an hour-long collection of nine electronic pieces whose USP is that they were all composed quickly, ‘with a minimum of deliberation’. The composer’s description recalls surrealist automatic writing procedures, but it doesn’t really prepare you for the music, which, in its droney/noisey/whispery way is much more coherent than a surreal stream of consciousness, shaped into bold, expansive gestures – some pieces are essentially a single sweep of an idea. That has something to do with the nature of electronic composition, I suppose – the machine is more likely to maintain an idea or certain parameters of an idea than to switch erratically and unpredictably among possibilities – but nevertheless each piece has an air of uncertainty about it, from the very first, whose opening voice-like drone soon sags into an indefinite downward glissando, rendering every new moment unstable. Three tracks from Simulated Music are currently available on Cummings’ Soundcloud page; three earlier albums are also available through Bandcamp. You can pre-order a copy of Simulated Music directly from Cummings himself, but I believe the CD run is limited to 50 numbered copies, and mine’s number 23, so you’d better be quick.